Many drones can be indoor drones. There are several calibers of drones out there. There are huge drones that can carry people, big drones that carry products and still big drones for high-end camera gear. 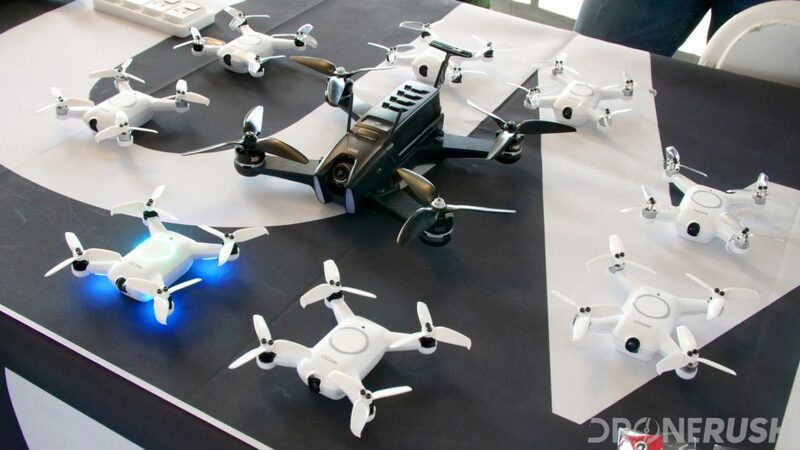 There are smaller drones for smaller cameras or hobby flying, even smaller drones for fun and games like racing, and finally, the smallest drones, many of which fit in the palm of your hand. These small drones are usually the best to fly indoors, safely. 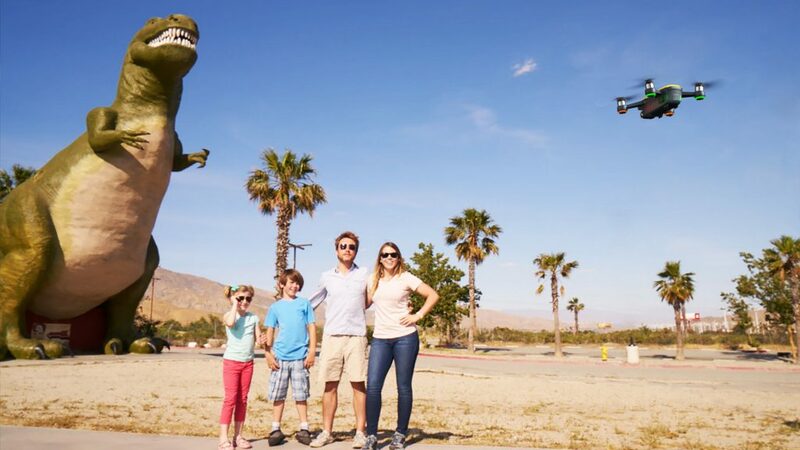 Want to fly in your living room, without mom yelling at you, too much? Yeah you do, here are some indoor drones for you. Before we start the list, I want to introduce you to some great nano drones. These are the machines that are just an inch or two across, you can fit the drone and remote into the palm of one hand. 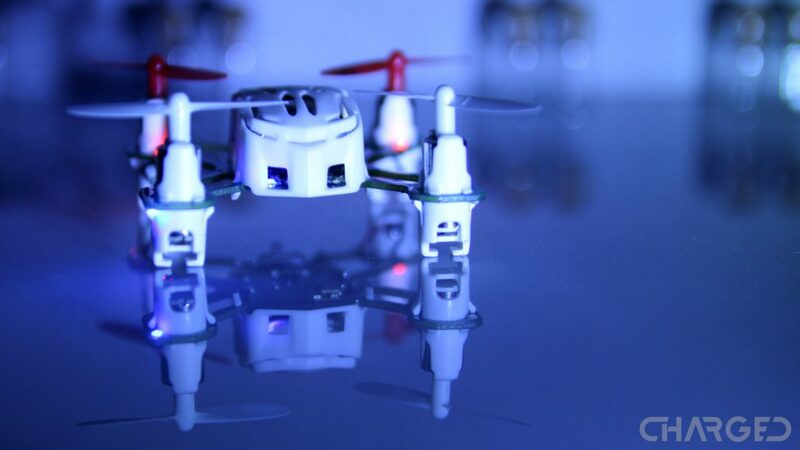 These tiny drones are obviously safe to fly in the house, mostly. We want to talk about a little bit larger drones today though, so hit the link if you want a nano, otherwise, let’s dive in. The Uvify OOri is still not on the market, as I write this, but we’ve flown it and are very excited. 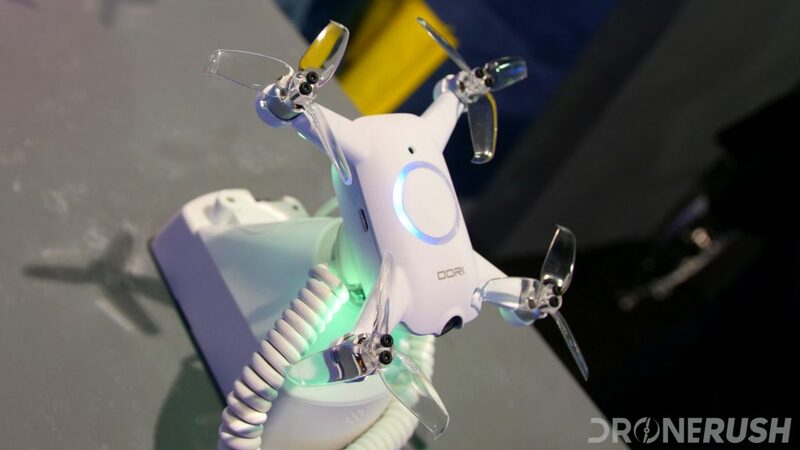 We met up with Uvify at CES 2018 to see their Draco racing drone, but fell in love with OOri. This is the most capable drone we’ve seen for its size to date. 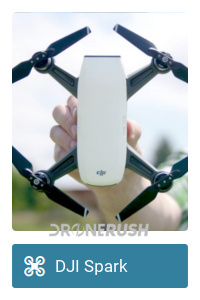 That is, a drone that easily fits in the palm of the hand. In beginner mode, OOri flies good and slow, ready for your basic flight needs. Did I mention that Uvify has a history in racing? OOri can connect in to typical racing gear, such as FPV goggles, and when you go full tilt, it can really move. Clocking in at over 50 mph full out, OOri may be small and safe to fly in the living room, but it’l be at home on the track as well. You can pre-order the Uvify Oori for $345, it starts shipping by Summer 2018. Let’s be clear, the DJI Spark is a little bit larger of a drone, it’ll fly indoors safe enough, but we encourage you to install the prop guards, just in case. The party trick of the Spark is that you can fly it by hand, literally. Tap the button to take off, use hand gestures like a Jedi Knight to control the machine and have it land back in the palm of your hand. It’s not magic, but it’s tons of fun. 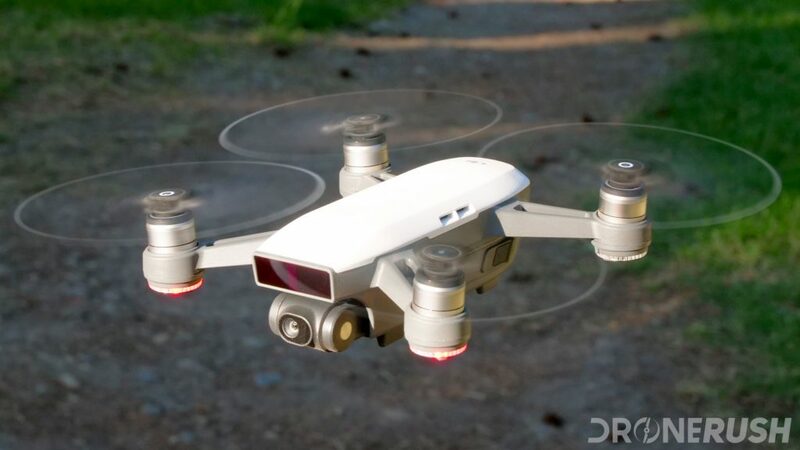 Check out the DJI Spark for $335 as the drone alone, or update to the Spark Fly More combo for $509 including the remote control, an extra battery and more. Regular price is $499 and $699. The best part about flying indoors is that it requires no authorization by the FAA. No matter if you are flying for pay or for fun, no matter the size or type of drone, you can fly in your living room. If you want to take that drone outdoors, and will be paid to fly, you must operate under a different set of rules and possess a commercial drone license. We call it the Part 107, it’s not too hard to get, but it will take some time to learn all the rules. We want to help you learn the rules and get your commercial license, check out our drone pilot training material. 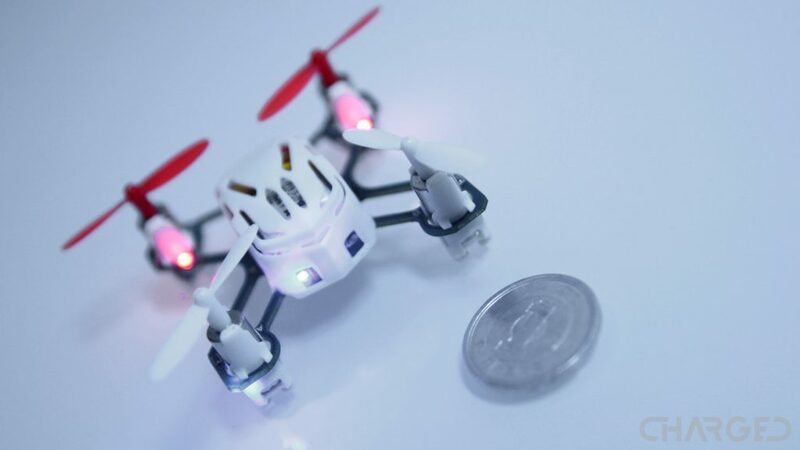 There is nothing safer to fly indoors than a tiny little nano drone. Truth told, I keep the Hubsan H111 right here on my desk, ready to fly whenever I need a few moments to clear my head. It has proven resilient, durable and a ton of fun. 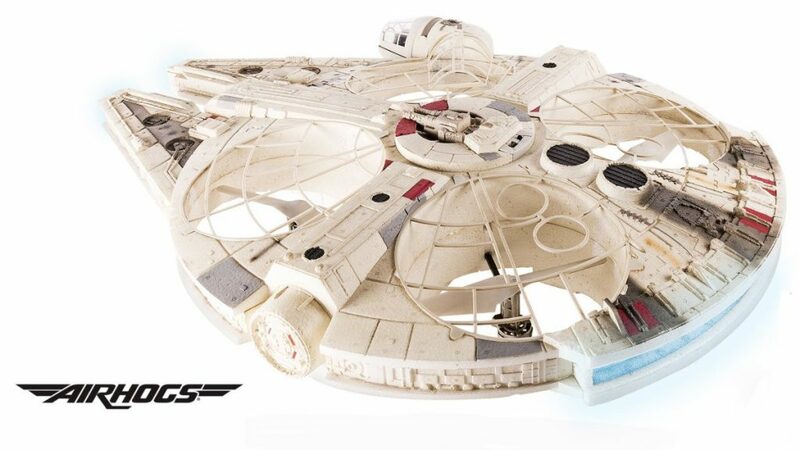 This is nothing more than a toy drone, but I’m sure glad I’ve got it. The Hubsan H111 is $18 on Amazon today. We hesitate to call this a great drone, but with that big, rolling flight cage, it certainly is very safe to fly indoors. 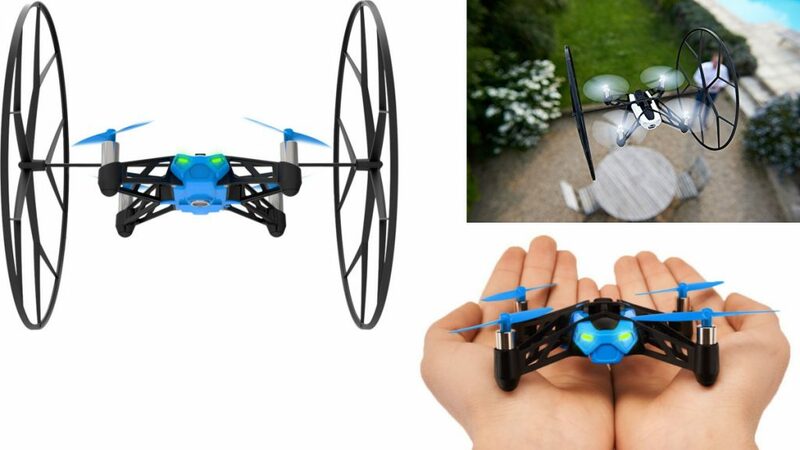 Check out the toy-class Parrot MiniDrone Rolling Spider for $25 today. Let’s not beat around the bush, almost every drone with an Air Hogs badge is ready to go for your child’s entertainment. 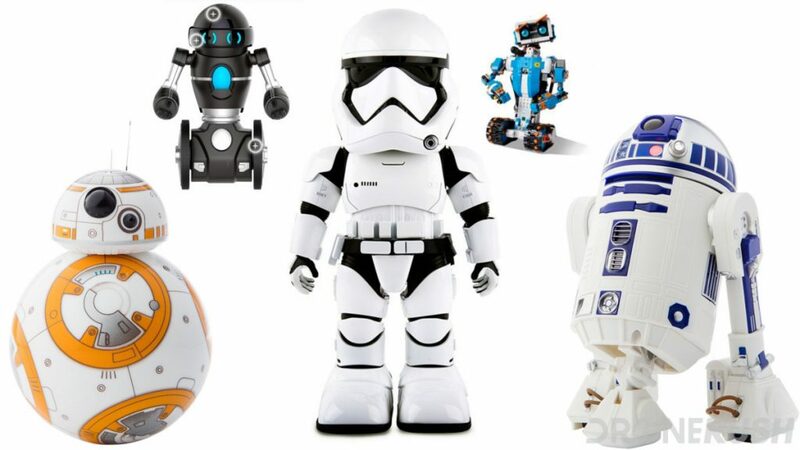 They have some really interesting and unique designs, not to mention a bunch of licenses for franchises like Star Wars, Star Trek and more. Best of all, almost all of their machines are under $50. When we considered factors that made a drone adequate for children to fly, we already thought about how they would manage indoors. There are extras on the list that belong outside, but you can find a few more living room safe options in our list of drones for kids. As I am sure you can imagine, drone racing is a huge indoor sport. One of the main reasons for this is the freedoms from FAA line-of-sight rules, and having a wall to prevent your drone from going somewhere it shouldn’t. Racing drones is fun, challenging and a growing sport, many of the starter drones you can enjoy for racing are ideal for indoor flight, maybe not in your living room, but indoor, nonetheless. Truth is, your ability to fly indoors is mostly determined by the size of your room. I’ve seen people fly the DJI Inspire 2 in their living room. Yes, for real. One thing to consider, you can likely take near any drone and slap some propeller guards on it to make it indoor safe. Be prepared for flying papers and stay away from curtains, but your larger drones can fly too. The best part about flying indoors, the FAA has no jurisdiction. If you want to fly FPV beyond line of sight, have fun. If you want to fly a drone larger than 55 lbs, good luck, but have fun! Want to exceed 400 feet above the ground… For real? Where do you live?!?! I want to see this house. What drone do you fly in your living room?